Find works of fiction and nonfiction related to Women’s History and History in the Making all throughout the library, all year long, from books in the Portland Room (Florence Nicolar Shay: Penobscot Basketmaker and Tribal Advocate) to children’s biographies (The Girl Who Drew Butterflies: How Maria Merian’s Art Changed Science), essay collections (Can We All Be Feminists? New Writing From Brit Bennett, Nicole Dennis-Benn, and 15 Others on Intersectionality, Identity, and the Way Forward for Feminism), and so much more. 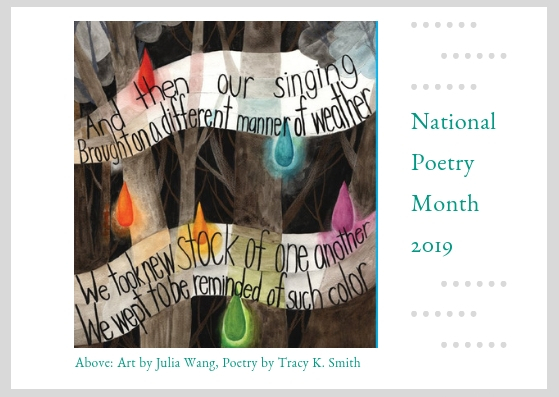 You can also find related booklists at PPL online, like Women Make History, Women’s History Month, and Women in Translation. 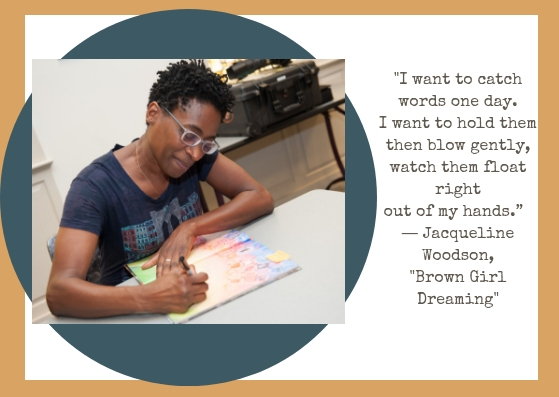 The Smart Girls Read Book Club read and discussed Brown Girl Dreaming by Jacqueline Woodson in March. 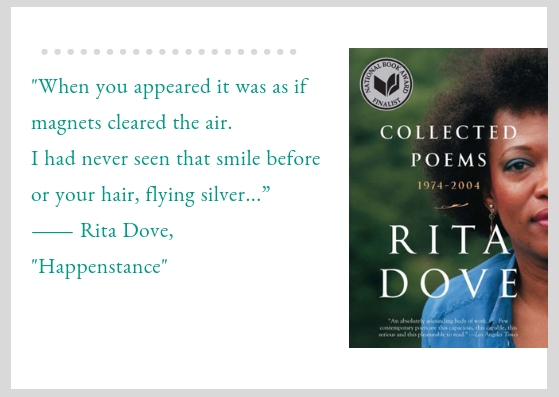 A novel in verse, a biography, written by one of my favorite authors—it even has pictures of the author and her family in the back. This book makes my heart sing for the poetry of Woodson’s writing and for the history and sense of place that it provides young readers. May this book float into your hands and stay in your heart forever. In the early 1970’s when Sylvia Acevedo was thirteen, she grew weary of her family’s car constantly breaking down. She decided to learn how to take care of it, found a free car maintenance class for women, and from that point on, Acevedo maintained her family’s car. Is it any wonder this same girl grew up to be a rocket scientist for NASA? Path to the Stars: My Journey from Girl Scout to Rocket Scientist is her inspirational autobiography of growing up in New Mexico in the 1960’s and 70’s. Chronicling her life from early childhood all the way up to graduate school at Stanford University, Acevedo shows us how she repeatedly challenged traditional cultural expectations for females in her own family as well as in the wider society at that time. From flat-out refusing to take home economics to building and installing her own backboard for basketball, Acevedo followed her own interests and dreams, despite pressure to do otherwise. While the book is intended for an audience of 10 to 14-year-olds, it engaged this adult reader as well, in part because I grew up around this same time and remember quite clearly the spoken and unspoken expectations and stereotypes Acevedo so courageously defied. Pies From Nowhere: How Georgia Gilmore Sustained the Montgomery Bus Boycott tells the story of a woman who helped feed and fundraise during the Civil Rights movement. It’s a moving account of how Georgia Gilmore was inspired to gather a group of women to cook and sell food in secret, giving the money as donations to help provide funds for the Montgomery Bus Boycott. “See, the way I figured it, people always had to eat. So I made the pies,” she said. Vibrant illustrations show Georgia baking with Black women, taking the pies and lunches to beauty salons full of Black women, and joyfully bringing her money up to the collection plate during strategy meetings, announcing the money she’d helped raise. She would claim the money “came from nowhere” to protect all the women who baked with her from retribution by white employers and landlords. The book helps readers understand some aspects of the Civil Rights movement that aren’t often addressed in history lessons — the different kinds of work done by women to support the boycotts, working within an unjust system to make a difference. What happens to Georgia? 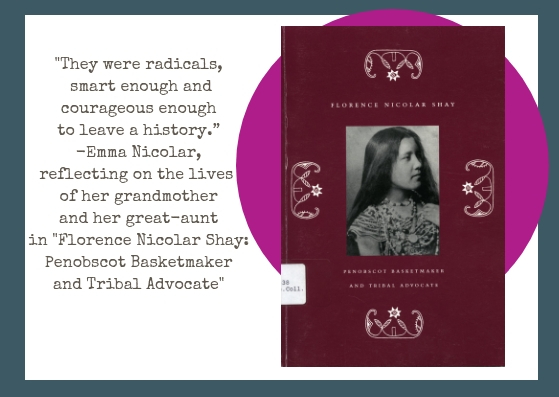 Find this and many more books on Women’s History in our Children’s Library. For adults who are inspired to help cook to fuel those fighting injustice, check out Julia Turshen’s Feed the Resistance: Recipes + Ideas for Getting Involved. Or read about Georgia Gilmore and more than 80 other women in Deepi Ahluwalia’s A Woman’s Place: The Inventors, Rumrunners, Lawbreakers, Scientists, and Single Moms Who Changed the World With Food. 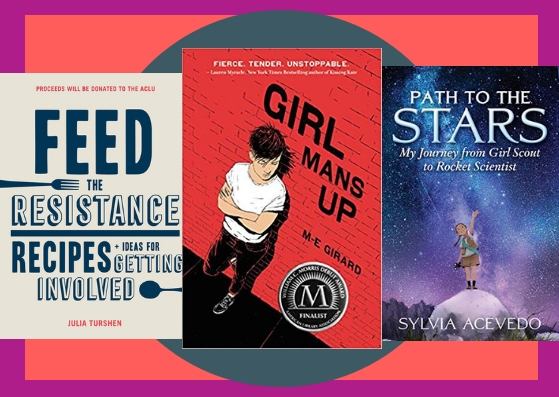 Girl Mans Up by M-E Girard: where was this book when I was an unsure teenager, “borrowing” my brother’s clothes and cutting my hair short? This story doesn’t sugarcoat the challenges that gender non-conforming kids often face in conservative homes and communities, but it balances those situations with friends and allies who give the lead character space and courage to be herself. Even though high school is far behind me, I related to these teens; their stories gripped me and made it hard put this book down. Pénélope Bagieu’s graphic novel Brazen: Rebel Ladies Who Rocked the World melds humor and gravity in twenty-nine biographies that cross millennia and continents. 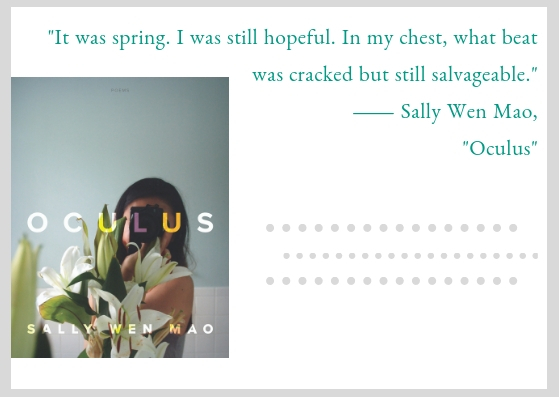 The stories range from the reign of a Chinese empress to the creators of liberating swimsuits and clever gravestones. What I find most perceptive about Brazen is its recognition that being a woman capable of rocking the world might mean acts on a grand scale, through invention, leadership, or social change, or it might just mean forging ahead as oneself. 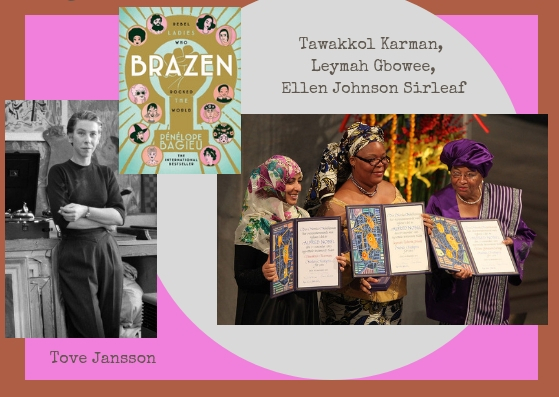 Whether telling of Leymah Gbowee’s efforts for peace or writer Tove Jansson’s decision to step away from fame to reclaim the simple and personal, Bagieu gives credence both to influential vision and individual empowerment. 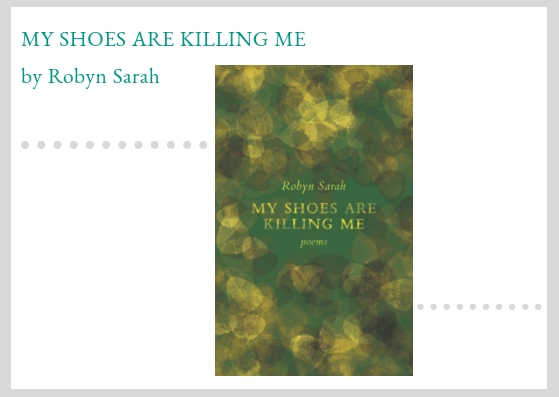 As an added bonus, count this one off for the PPL 2019 Reading Challenge #womenintranslation category. As we ponder women’s history this month, it seems like a good time to examine a future where men have become extinct. 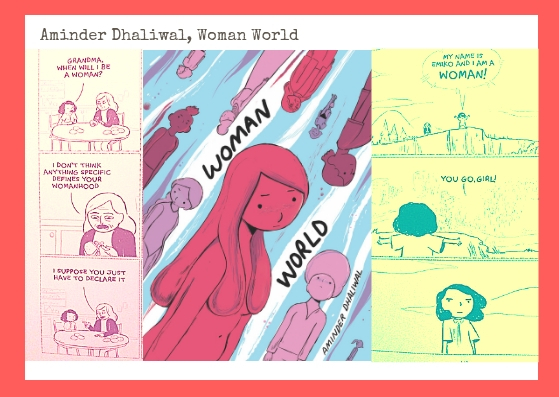 This is what Aminder Dhaliwal gives us in her hilarious web comic turned graphic novel Woman World. After a birth defect eliminates all men from earth, women are left to rebuild. It’s a fascinating concept that raises all sorts of questions, like how will women behave, and will the world be a better place without men? Dhaliwal answers these questions and more with charm and biting wit. Pop culture remembers Valerie Solanas as a footnote to Andy Warhol’s life; however, Valerie’s SCUM Manifesto is a colorful thread in the tapestry of formative feminist reading. Breanne Fahs’ clinically-written biography details how Valerie’s life guided her caustic pen. This biography also recounts how SCUM’s publisher embellished the text – and Valerie’s vitriolic persona – without her consent. This book is suggested for fans of late 1960’s New York City who want to learn more about feminism’s less-mainstream faces. “If they don’t give you a seat at the table, bring a folding chair.” In 1968, Shirley Chisholm was the first Black woman elected to the US Congress. 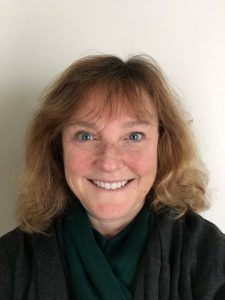 She hired an all-female staff and immediately got to work advocating for women, children and the poor. Her 1970 memoir Unbought and Unbossed is a candid window into her personal and political life, and the historical waves she made even in her earliest days in Congress. 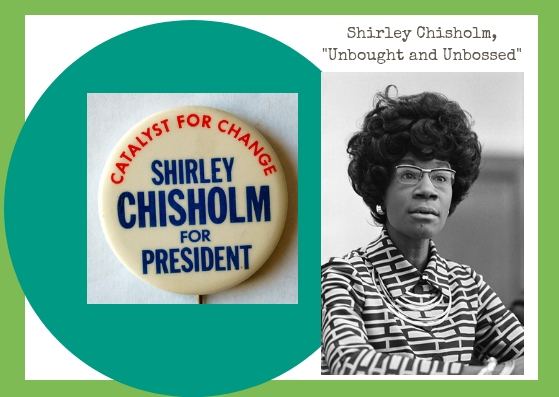 In 1972, she ran for the US Presidency– the excellent documentary Chisholm ’72 covers this campaign and can also be found in the PPL collection. While you’re browsing documentaries, I recommend Anita: Speaking Truth To Power. It covers the explosive senate hearings in 1991 when Anita Hill put a name and face to the epidemic of workplace sexual harassment, under national scrutiny and ridicule. Watching her grace and brilliance under fire in original footage from the hearings is powerful; it is even more so to hear her reflect, 20 years later, on what the experience meant to her, and what it will mean for generations to come. Finally, check out actress Diane Guerrero’s memoir, In the Country We Love. Guerrero (known for Orange is the New Black) was only fourteen when her parents and brother were deported and she was left in the United States, alone. As a child of undocumented immigrants, she gives voice to the nightmare of separation that so many families are still facing. Her story has also been published as a middle-grades book available in the Teen Library called My Family Divided. These books are celebration of her survival, validation for others living the experience, and a call to action to keep families together. 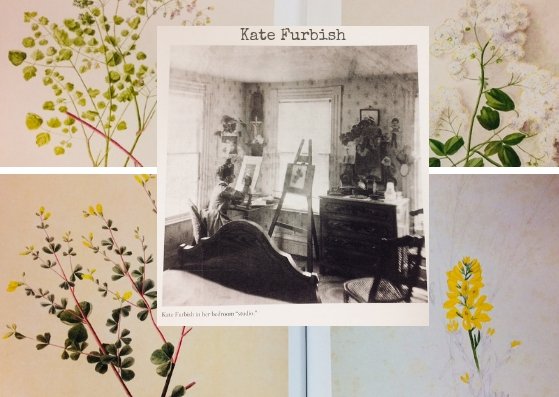 I’d like to highlight 19th century artist and botanist, Catherine “Kate” Furbish. I first heard of Kate’s work in, Maine’s Remarkable Women: Daughters, Wives, Sisters, and Mothers Who Shaped History. For nearly three decades, Furbish travelled to remote areas of Maine where she collected, classified, and painted plant specimens. She discovered to previously unknown species, which were named for her: Aster cordifolius L., var. furbishiae, and Pedicularis furbishiae, the Furbish lousewort. In 1908, Furbish donated 14 volumes of her catalogs to Bowdoin College. 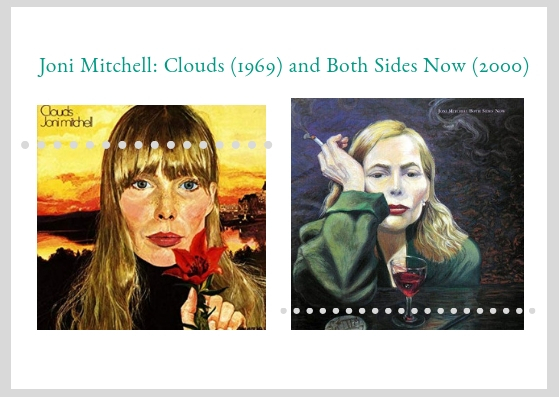 In 2016, the first catalog of her work was published. The two volume folio sized catalog, Plants and Flowers of Maine: Kate Furbish’s Watercolors, will be featured in the display case in Research area on the Lower Level during the month of March. 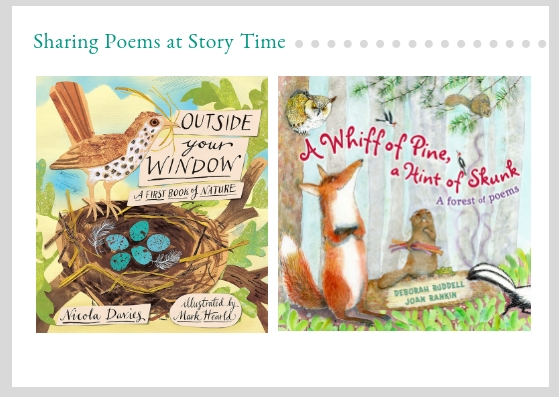 After that, library patrons may request the item from the reference librarian. FMI on Kate Furbish: Wildflowers of Maine: Botanical Art of Kate Furbish and Kate Furbish and the Flora of Maine. I had the great good fortune to spend my early growing up time living a block from one grandmother and downstairs from another. Early on, even one trafficked suburban Boston block was too far to navigate on my own, so Nana Mac, my upstairs Irish dumpling Nana, proud owner of rubber throw-up and plastic “ice cubes” encasing fake bugs, was my most constant grand-buddy. Our routine included watching I Love Lucy reruns in the mornings. Lucy Ricardo, nee McGillicuddy, was a captive of her time. Married to bandleader Ricky Ricardo, hanging with fellow housewife neighbor Ethel, hatching schemes to make it big despite her Real Job, Legitimate Role as helpmate to Ricky who spent his time satisfying his creative urges and achieving his dreams, Lucy’s antics were comical and heart wrenching in their desperation, inspiring in their non-stop determination, the stuff of grandmotherly and granddaughterly bonding for us two housebound females sharing the same space at different ends of life. Nana and I would re-enact scenes, swap playing Lucy or Ethel, drink chocolate milk made with Bosco and laugh ourselves sillier than strictly necessary. Most of us have strong associations with popular culture. That’s not good or bad, just a fact of being alive and spending time around other human beings. Many of my associations go back what feels like a million years. Now I spend my days with more freshly minted human beings whose associations can seem ridiculously recent, embarrassingly current. 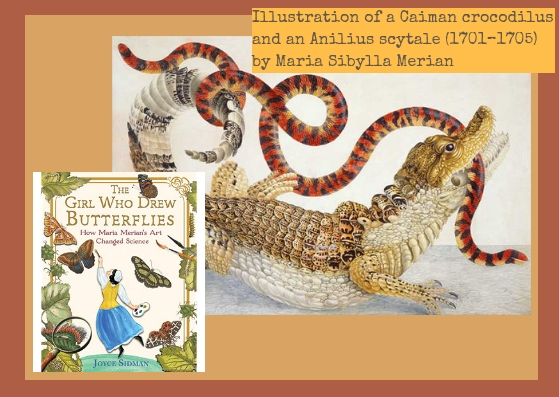 Their associations are largely foreign to me, made familiar only because of my younger companions’ willingness to share without judging my disconnection. For this I am so, so grateful, just as I am grateful for my connections to Nana and the unexpected ways they were forged. So how about spending some time with a few “I Love Lucy” dvds? How about seeing what passed for entertainment, what made Nana Mac and me laugh so hard? How about appreciating how things have changed, and noting how they have stayed the same? How about seeing why Lucy and Ethel still delight while Ricky and Fred seem a little bit tired? 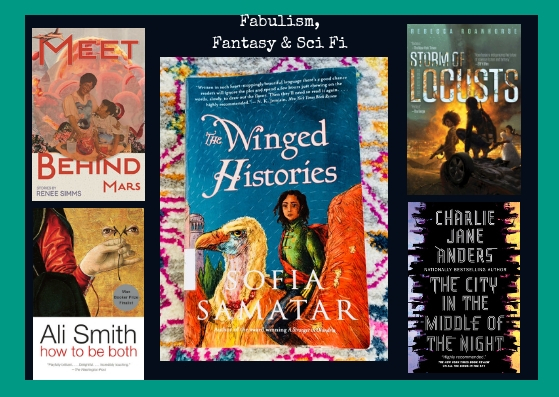 If you happen to love brilliant and beautiful writing, unforgettable worldbuilding, epic journeys, and complex lovers, families, and revolutions, Sofia Samatar’s fantastic tales are for you. Four women—Tav, a soldier, Tialon, a scholar, Seren, a poet, and Siski, a noble—share their rich and wondrous stories in The Winged Histories. In March I also enjoyed the journeys of several unforgettable characters and fell hard for an entire new species created by Charlie Jane Anders in her new novel The City in the Middle of the Night. Two recent fantasy/sci fi picks I’ve put on hold, but haven’t yet read, come from our YA collection: Lilliam Rivera’s Dealing in Dreams and Tehlor Kay Mejia’s We Set the Dark on Fire. I just checked out Renee Simms’ new story collection, Meet Behind Mars. And after the major cliffhanger in Trail of Lightning, I’m excited to pick up the adventures of Maggie Hoskie, Diné monster hunter, in Rebecca Roanhorse’s second book, Storm of Locusts. It comes out in April.